Melbourne is located in the south-east of Australia and is the country's second most populous city. It retains the beauty that characterises all cities in this vast country, but it is the most European feeling of all Australian destinations, bustling and more ‘lived in’ than other cities appear with a broad and ever growing number of cultural experiences. Melbourne has an almost un-Australian ‘raw’ feel to it which is brilliantly illustrated by a vibrant music scene. You can watch live gigs at clubs, pubs and bars any night of the week and your choice is not just limited to rock and pop, Melbourne is also well known for its classical and jazz venues. The city's music scene is fully showcased in the not to be missed Melbourne Music Week every November. Taking place over nine days, it features 240 artists playing at 110 events across 40 venues in the city. It's not just music that makes Melbourne the cultural capital of Australia. It also boasts well-respected venues for theatre, comedy, art, books and film. Melbourne is also home to some of the country's most respected architecture as well as being the place of Australia's oldest public art museum, the National Gallery of Victoria. Besides the cultural offerings, Melbourne also offers all of the other benefits you would expect of an Australian city. Beaches for the day and nightlife for the evening intertwined seamlessly with natural beauty. 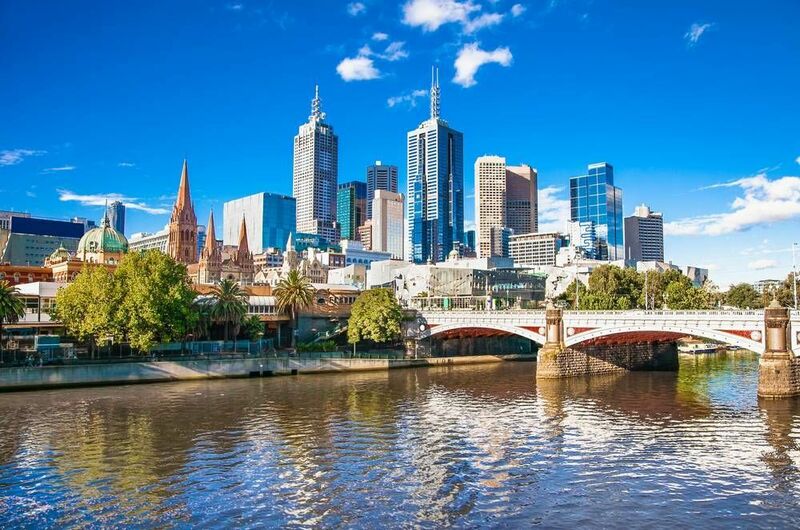 It’s no wonder that Melbourne is considered one of the most desirable places to live on the planet, it must surely be worth a visit? Federation Square is a significant venue in Melbourne as in 1968 it was established as the first public square in the city. It has a unique architectural design and is used as the venue for some cultural events, so no two walks are ever the same. The walks start at the Melbourne Visitor Centre, located on the square, and lasts for approximately one hour. No booking necessary. Looking for a more general tour of Melbourne, covering everything from its history to its current culture and lifestyle? Simply go to the State Library of Victoria, look for the statue of Sir Redmond Berry in front and you should see someone in a bright green t-shirt. This will be your tour guide for the next two and a half hours around Melbourne, completely free! Check out the website for schedules. Are you from Melbourne and want to be a tour guide? Please get in touch by submitting your details on this page!